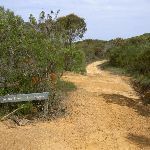 From the car park, the walk follows the management trail past the ‘Tallow Beach 900m’ signpost. 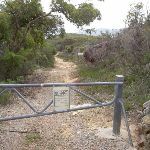 The walk soon passes around a gate and continues down the hill. The walk passes an unfenced cliff warning sign and (ignores) a track signpost (‘Tallow Beach’) before heading up the hill to the intersection, signposted ‘Tallow’ and ‘Killcare’. 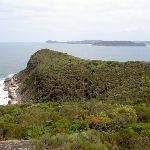 Box Head is the northern entrance to Broken Bay, and has panoramic views over the Pacific Ocean, Barrenjoey Headland, Lion Island and the rest of the bay. 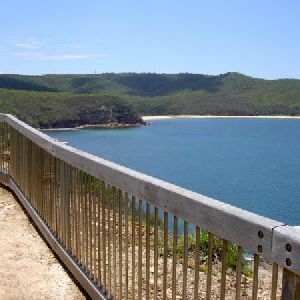 Box Head is an unfenced area with no other facilities. 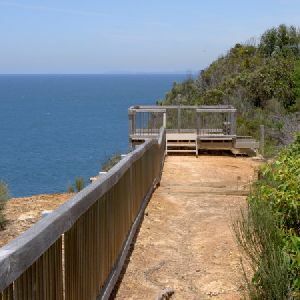 The track to the headland makes it reasonably accessible, with some great views along the way and stunning views from the point. 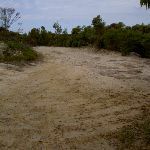 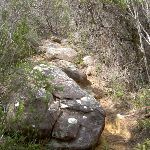 Around 1.5km of this walk follows a formed track, with some branches and other obstacles, whilst the remaining 65m follows a clear and well formed track or trail. 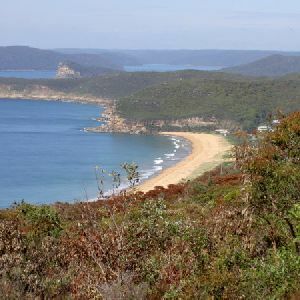 A list of walks that share part of the track with the Hawke Head Drive to Box Head walk. 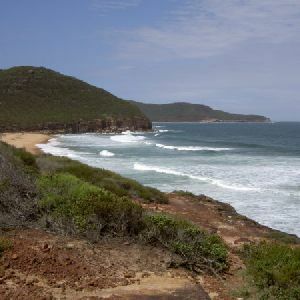 A list of walks that start near the Hawke Head Drive to Box Head walk. 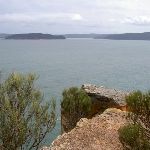 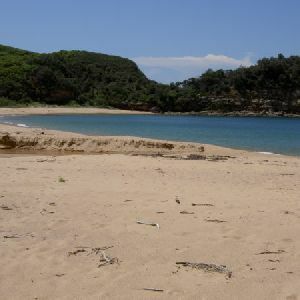 This walk starts at the top of the ridge and leads through a field of wildflowers (in spring and early summer), past some panoramic water views and down to Patonga Village for fish and chips. 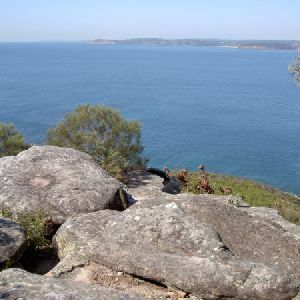 Starting on the Tony Doyle Track, this walk passes the old Warrah Trig and then visits Warrah Lookout, a great site. 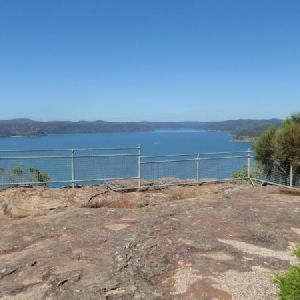 After a short walk along a wide trail, you then follow the Patonga Track down the hill, passing some large angophoras and more water views before heading down to the beach at Patonga. 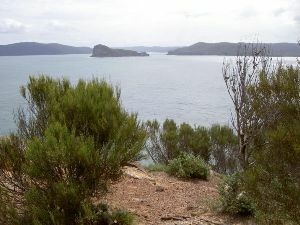 Starting on the Tony Doyle track, this walk passes the old Warrah Trig before enjoying the views from Warrah lookout. 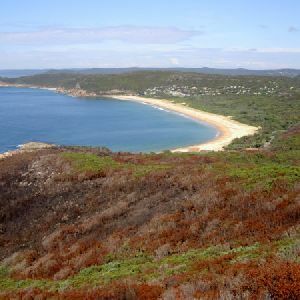 The walk follows the wide trail down the hill to Pearl Beach. 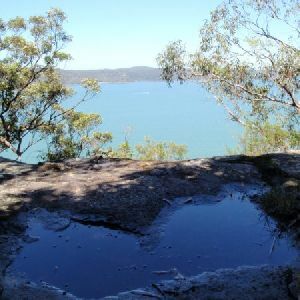 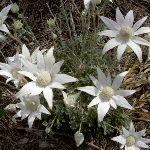 There are many great wildflowers in spring and if you are quiet, you may spot a Lyrebird or two. 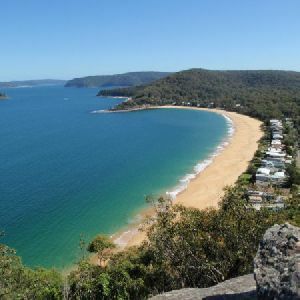 If you are feeling energetic, you can have a refreshing lunch and allow extra time to walk back or catch the bus home from Pearl Beach. 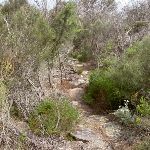 This walk takes you from the old Warrah Trig Station down the ridge, along a well formed rock path to Warrah Lookout. 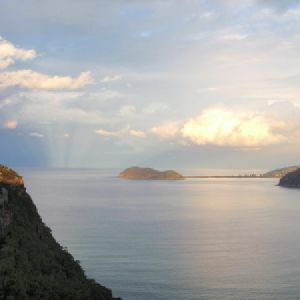 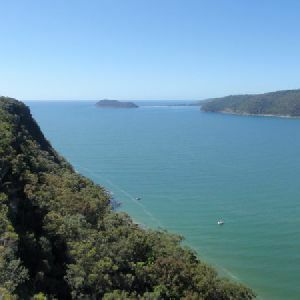 From the lookout there are fantastic views spanning from the distant Barrenjoey headland, across the Hawkesbury river to Brisk Bay and Patonga. 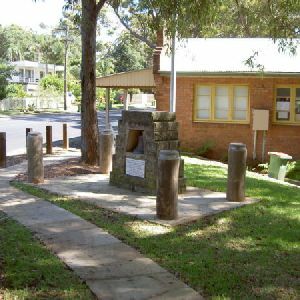 There are no facilities provided at the Warrah Trig Station but the Lookout is fenced for safety. 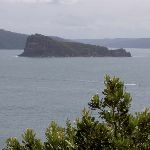 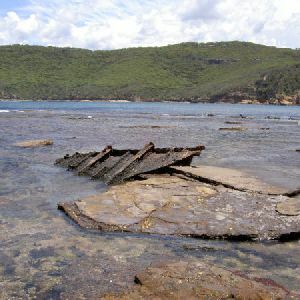 After the walk, it is also worth a trip down to Patonga for lunch, or just to explore the local area. 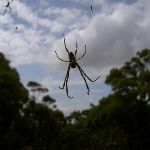 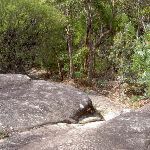 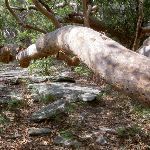 http://new.wildwalks.com/wildwalks_custom/includes/walk_fire_danger.php?walkid=nsw-bouddinp-hhdtbh Each park may have its own fire ban, this rating is only valid for today and is based on information from the RFS Please check the RFS Website for more information.